Document Management Software Development Company in India. The web based application which automates the document management is designed. All the unstructured document and data are managed and digitalized by this software by which it provides electronic publish. Large variety of document formats and versions are supported by this software and it also provides searching capabilities and extensive access control across LANs and WANs at a click instantly. Manage, monitor and control all document level actions through fully customizable user dashboard. Drawing Files used in AutoCAD can also be managed using a special feature called PAN feature, which is used to navigate and for zooming purpose. Swift retrieval of the content by full text search, Search by discipline, category and Metadata Search along with advanced filters. Controlled editing of the document through Document Re-upload and manage all the versions of a document. Single or Bulk Documents can be uploaded. Delete document or folder with retrieval option to recover the deleted document or folder. It generally supports different types of files and It can be customized to support specific files only. 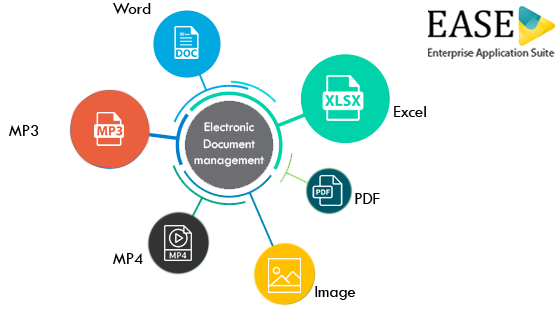 Manage your entire unstructured physical document by digitizing, indexing it along with Metadata and store them electronically. Advanced role based Document and Folder Access Control to ensure information security and controlled document flow. Route and manage documents through different types of user defined automated Workflow. Create, modify and manage users. It can be a Super User or a Normal user as well.